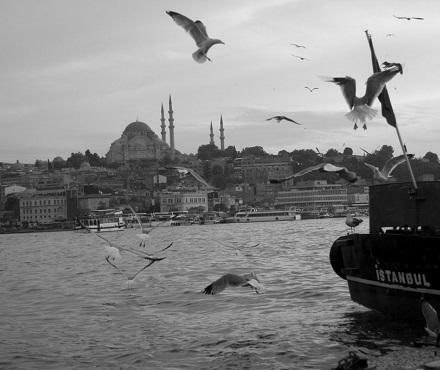 Pasif.ist (Pasifik-Istanbul collaborations and peaceful thinkers) is a project created by Natalia Mann and Izzet Kizil. September 6, 2010 from natalia mann on Myspace. 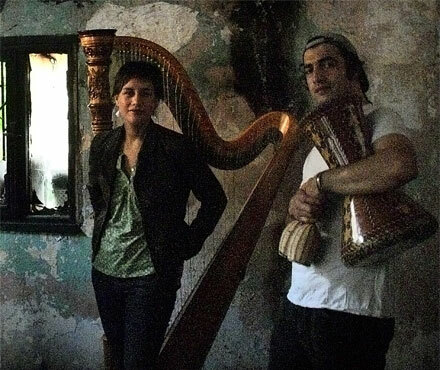 Led by harpist Natalia Mann with virtuoso percussionist Izzet Kizil, Pasif.ist music could be described as exotic fusion or world jazz with its unusual instrumentation, lush melodies, and flowing rhythms. 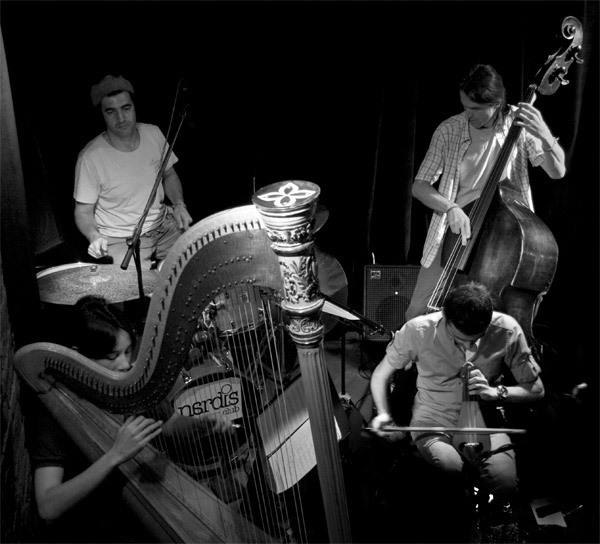 It is an interesting mix of ancient instruments with a contemporary feel. Natalia Mann and Izzet Kizil developed the Pasif.ist project together during the time that Natalia lived in Istanbul, 2005-2013. Discussing, jamming and exchanging ideas, the two musicians found plenty of common ground. Natalia began writing music inspired by the great city. As her collection of original tunes grew, Izzet put together local musicians to bring them to life. Performed at places like Istanbul's famous Nardis jazz club, Alt. jazz club, and the Nublu Jazz Festival, and appearing on Turkish television they gathered an appreciative following. They were handpicked to represent contemporary Turkish music at the Traumzeit Festival in Duisburg, Germany 2009, and invited to Istanbul Jazz Festival in 2011. Circumnavigating the globe, they created the album Pasif.ist . Initial recordings took place in Istanbul's French district with the talented klasik kemence (Turkish gut-string violin) player Sercan Halili and fretless bassist Apo Shakar. That was followed by sessions in Riki Gooch's hyper-creative Wellington studio where Lucien Johnson laid down those smoking saxophone lines. A special visit to Matua Richard Nunns in the South Island of New Zealand procured us precious sounds of albatross wingbone and pounamu (greenstone jade). And finally the wonderful Dine Doneff made a special trip from Thessaloniki to record double bass with us back in Istanbul. Deftly mixed by French artist Smadj, and mastered by Pieter Snapper at Babajim Istanbul Studios, the final touches. The Pasif.ist album was supported by Creative NZ Arts Council, and was released on the art music label Rattle Records in New Zealand 2011. Kiwi pop diva Bic Runga invited Natalia to support her National Acoustic Church Tour in 2011. Hot off the press, she toured the album to thirteen towns throughout the country, sending it to #4 on the New Zealand album charts in its second week, and reaching unprecedented sales for Rattle. The Pasif.ist album is available online at www.rattlerecords.net. I am grateful to all the musicians that have brought their magic to the Pasif.ist project over the years. They include: Sercan Halili, Abdullah Shakar, Dine Doneff, Smadj, Yuri Ryadchenko, Serdar Pazarcioglu, Senol Cumbuslu, Ceyhun Kaya, Aziz Sahin, Duygu Demir, Goksel Baktagir, Sumru Agiryuruyen, Onok Bozkurt, Eda Karaytug, Firat Ngoni, , Sarp Maden, Nedim Nalbantoglu, Deniz Gungor, Lucien Johnson, Riki Gooch, Richard Nunns, Shona Jaunas, Janet Holborow, Naomi Jean, Torab Maljesi, Eyup Can, Edward Powell, Murat Ferhat Yegul, Kenny Wolleson, Arto Tuncaboyacian, Victor Steffensen, Astro Brimm, Horomona Horo.